Even on dry land, Americans should fear the stingray. 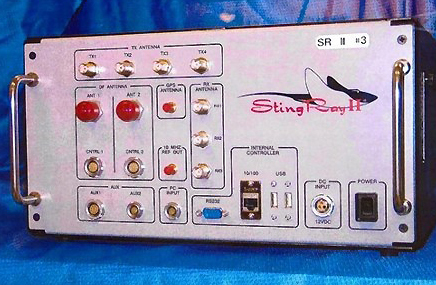 Not the flat cartilaginous fishes related to sharks, but the secret government surveillance device that not only tracks suspected criminals but also intercepts the private information of law-abiding citizens who happen to be nearby. Now, because of a Freedom of Information Act (FOIA) request and lawsuit brought by the Electronic Privacy Information Center (EPIC) against the FBI, the government is slowly releasing thousands of relevant documents that are already raising alarms among privacy and civil liberties advocates. 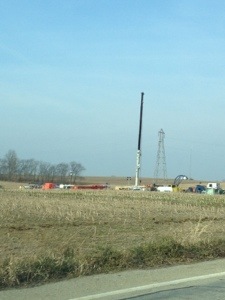 Frack baby Frack! Chesapeake Energy has been all over our farm and surrounding counties to determine if there is, ‘gold in them there hills,’ so to speak. Most of the roads and surrounding land have pink flags to mark off potential areas for seismic testing, in search of underground oil and gas. 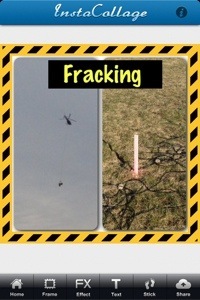 There are wires laying on the ground and helicopters flying when weather permits. To explain how to testing works, read here. The technology is amazing. In our rural area we’ve seen a few new above ground wells, new gas lines being installed and one fracking well- though not on our land. We are exhausted over the debate over the Keystone project. America needs to rely on its own energy resources. Now that President Obama has all but shut down the coal industry and denied numerous permitting on federal land, we must rely on Chesapeake and similar companies to reduce our reliance on foreign oil and gas. Billions of wasted tax dollars to Solyndra and the Chevy Volt reinforce that fact. As for BP, we’re pretty sure they didn’t want to loose billions in the Gulf disaster, cause the loss of life or create environmental hazards. Between the EPA and a zillion other environmental laws is it any wonder that there is fuel in our cars, heat in our homes, air conditioning to run? Yes there there are risks, but otherwise we’d all freeze to death in the dark- clinging to our bibles and guns. A hedge fund guy to be energy sec? Our confidence level isn’t exactly rising. With news out of Algeria of mass casualties at a natural gas facility. Whatever your thought on global warming, it’s still winter in much of the USA. The heat and electric are on in most parts and the helicopters are flying, the wires are laying in wait to see what treasures the earth will reveal. Chesapeake, kinda Made in America.